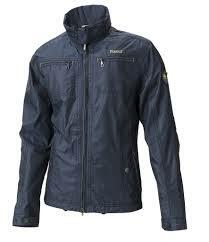 A smart competition jacket which also looks great as a casual blazer worn with jeans. 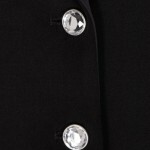 Short style with detailing around the collar and pockets. Machine washable. 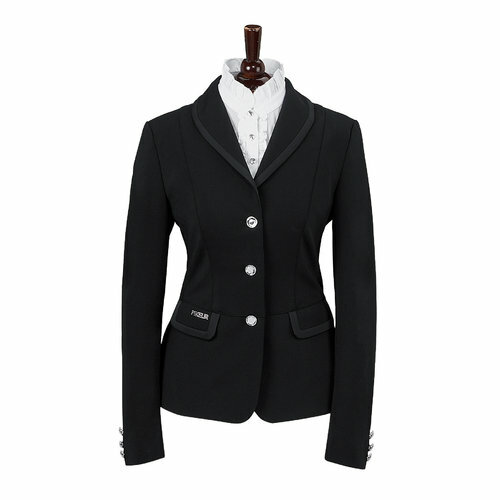 The Pikeur Radina Competition jacket follows the trend of shorter jackets but does it in true Pikeur Style! 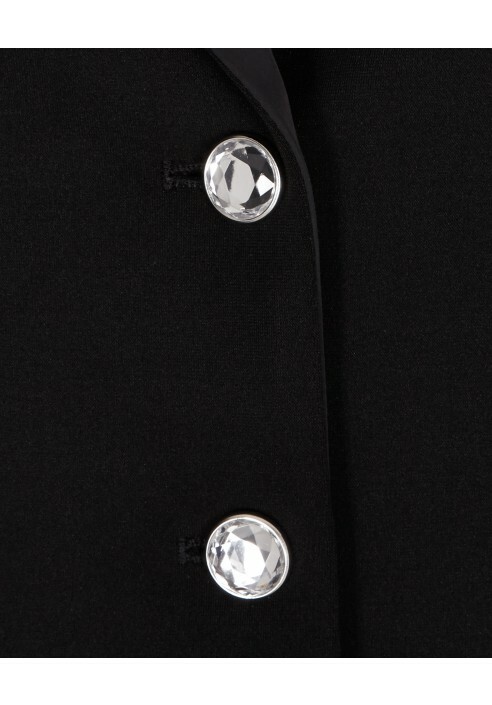 This classy jacket has three crystal buttons at the front and at each cuff, two front pockets that are trimmed with a satin binding and finished with an elegant shawl shaped collar that is also trimmed with satin. 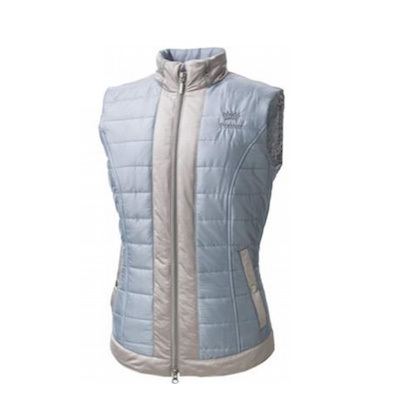 Because this Jacket has been designed specifically for the Dressage rider, it is made from a stretch fabric that enables it to be closely cut for a trim silhouette, whilst still providing freedom of movement. 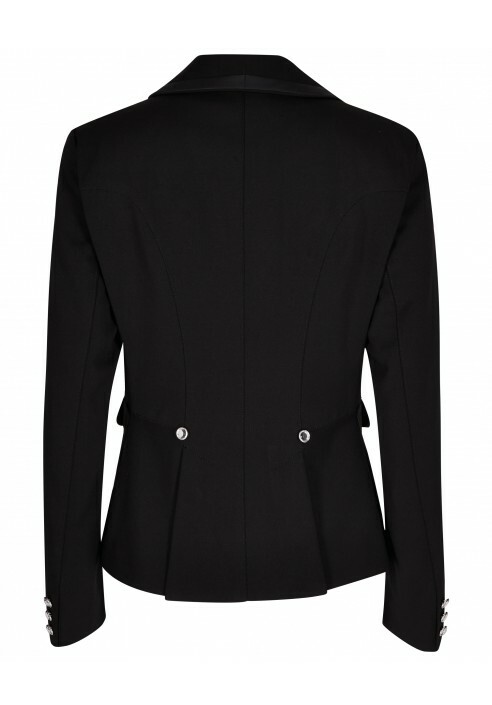 It is an ideal choice for ladies of smaller stature, as the shorter styles have a great leg lengthening effect!